Our flight from Las Vegas to San Francisco took less time that the wait for our rental car. When we went to Fontana five years ago, I discovered Fox Rent a Car. They were cheap and everything was smooth as silk. I decided to give them a try again. Bad move. It took almost two hours from when I first got in line until we climbed in the car. By then, it was almost 2:00 and San Francisco was trying to start its weekend. After we got here, I found others that had had the same experience with Fox in San Francisco. If we come to Laguna Seca next year, I’ll know better. 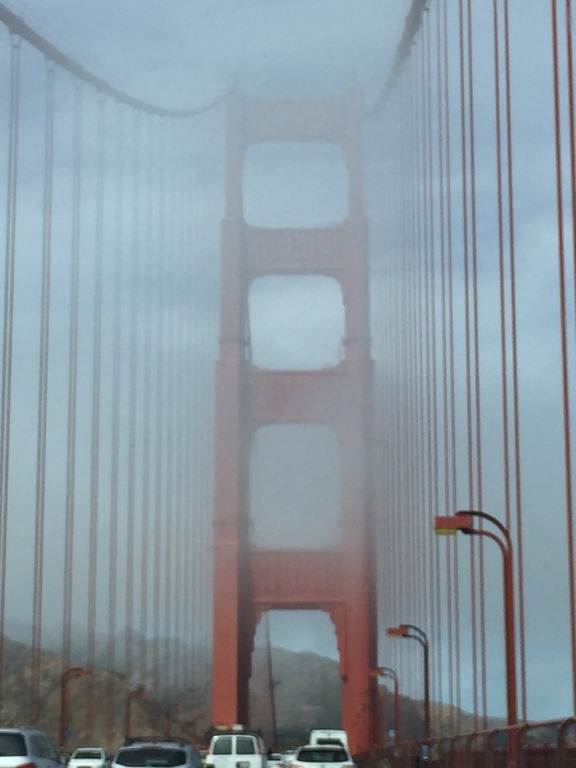 We crossed the Golden Gate Bridge and it was as impressive as I thought it would be, even though it was still somewhat shrouded in fog. 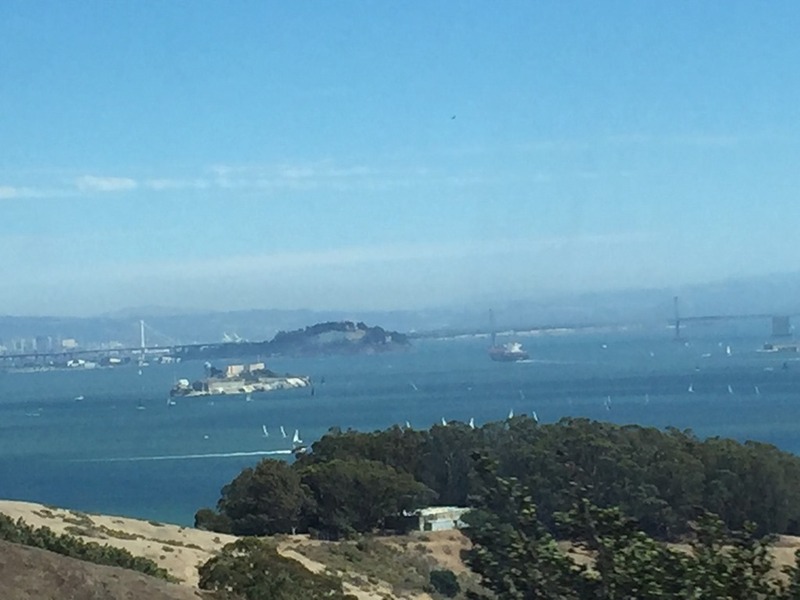 Susan snapped this picture of the bay just after we crossed. We stayed on Highway 101 and headed north. By this time, we decided to forego the hotel and head straight to the track. 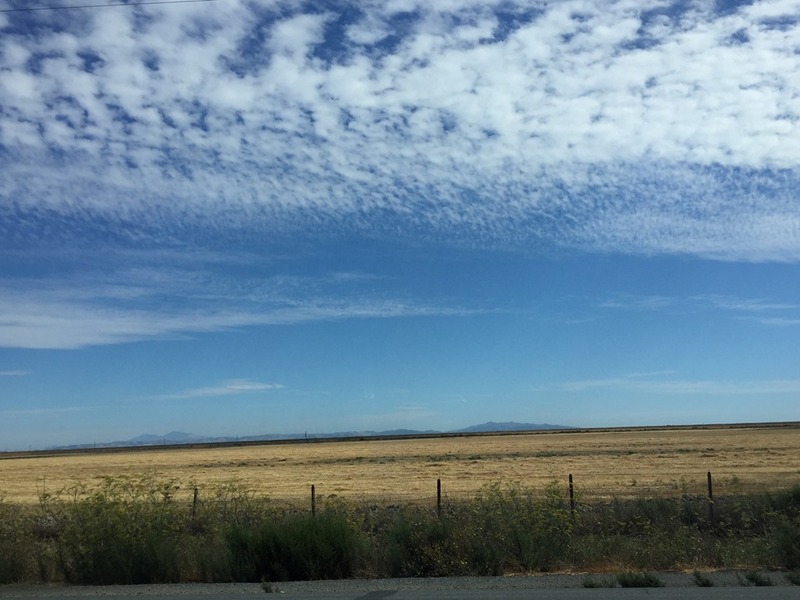 When we veered east on Highway 37 to the track, we were soon in a standstill. It took us forty-five minutes to go seven miles. By the time we got t the track, it was 3:35. Practice Two had been underway for thirty-five minutes and only had twenty-five to go. 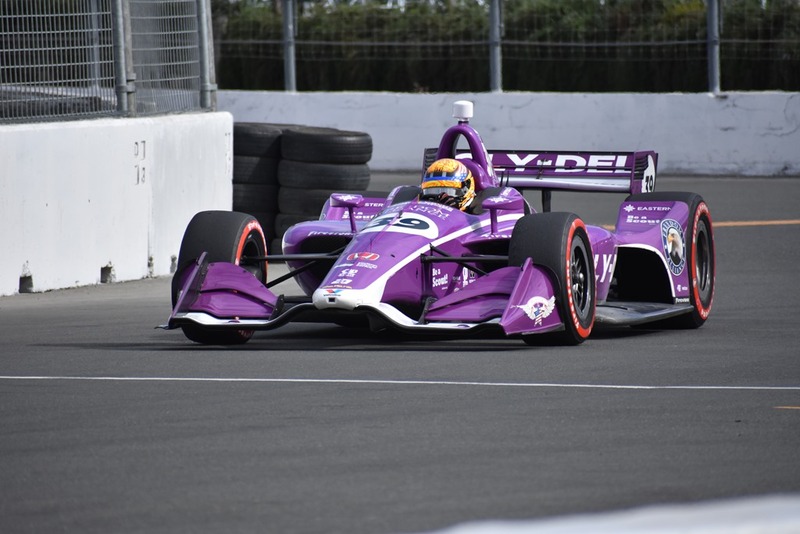 For the record, Josef Newgarden was the fastest in the afternoon session with a time of 1:17.8156, but Ryan Hunter-Reay had the fastest time of the day at 1:17.5742, set in the morning session. 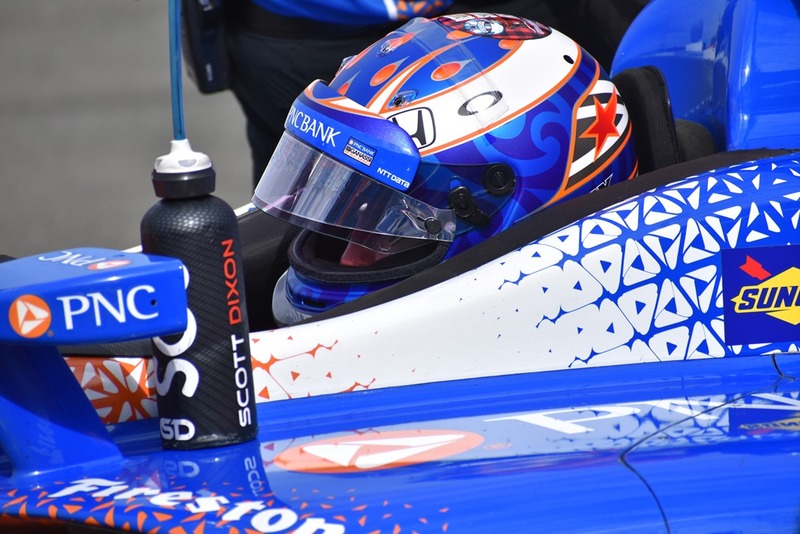 Scott Dixon was second quick this afternoon, followed by the newly crowned Indy Lights champion Patricio O’Ward. 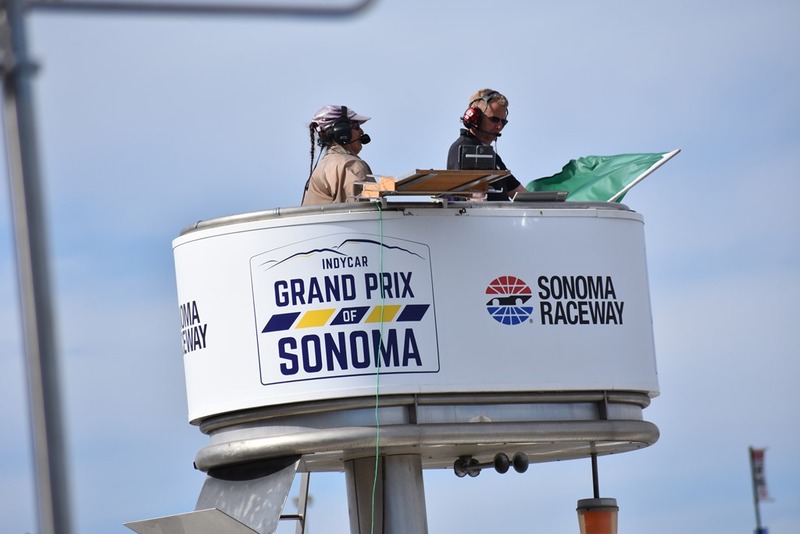 Will power was fourth and James Hinchcliffe rounded out the Top Five. 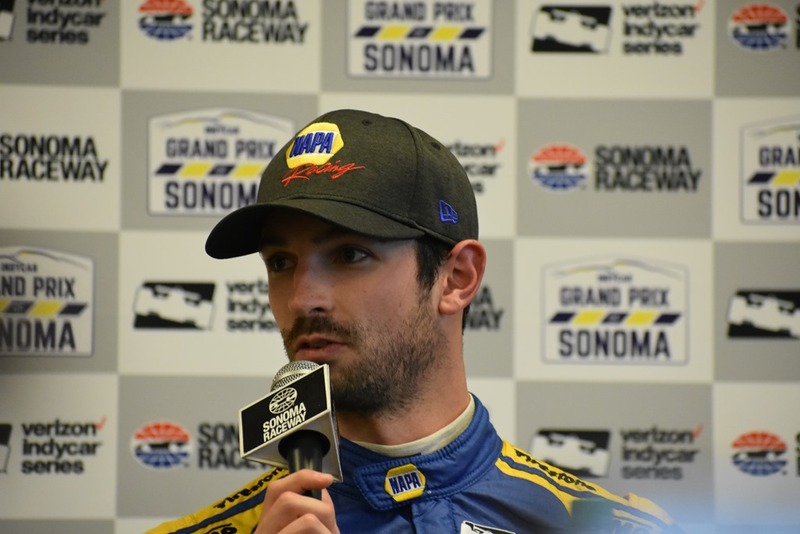 Championship contender Alexander Rossi was sixth quick, which did not seem to set well with him during the afternoon press conference. 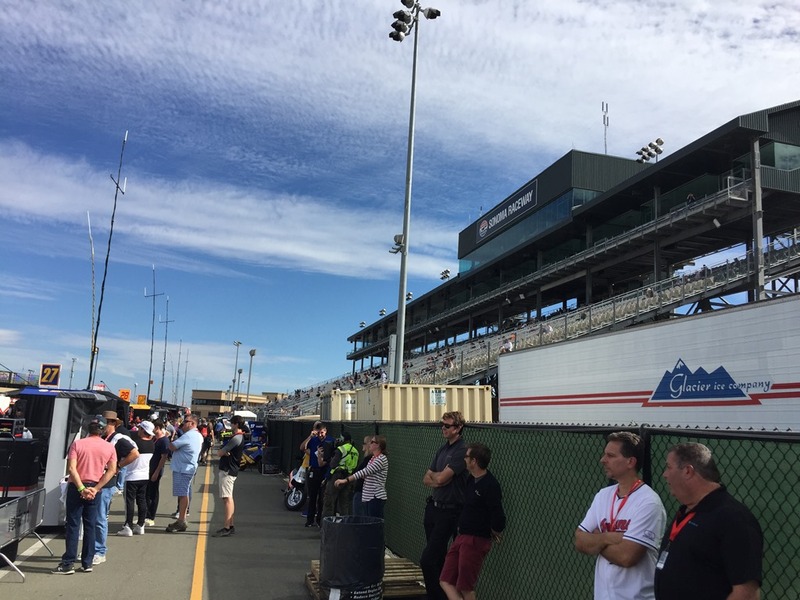 I have to be honest, while I found the scenery in and around San Francisco to be dramatic – I am still not wild about the appearance of the the area around the track. As we were approaching the track, I noticed the land was as brown as it looks on television. 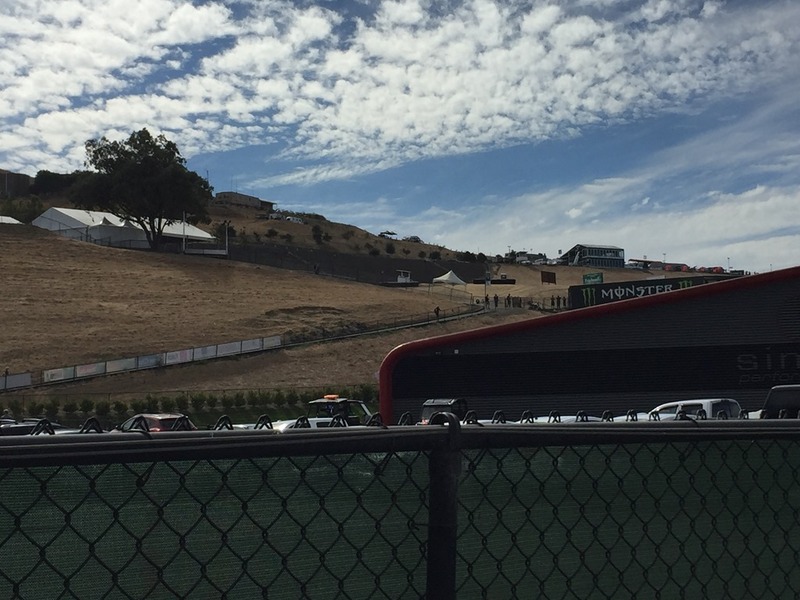 However, I will have to say that the hills surrounding the track and the mountains off in the distance do make for quite the backdrop for a race track. Susan was able to get a few good shots from the pits along with a couple of my phone photos, just as practice was winding down. That will do it for us today. To be honest, my old body is wearing out. We woke up at 3:00 this morning Nashville time to catch our flight, which is 1:00 am local time. I’m starting to fade. Tomorrow, we’ll have more time to get the lay of the land and check out all f the vantage points of this facility. But what I see so far, this is a very clean, modern and well run track. I can see why those that have come here year after year are sorry to see it leave the schedule. Anyway, please check back tomorrow. I’ll have more energy then. 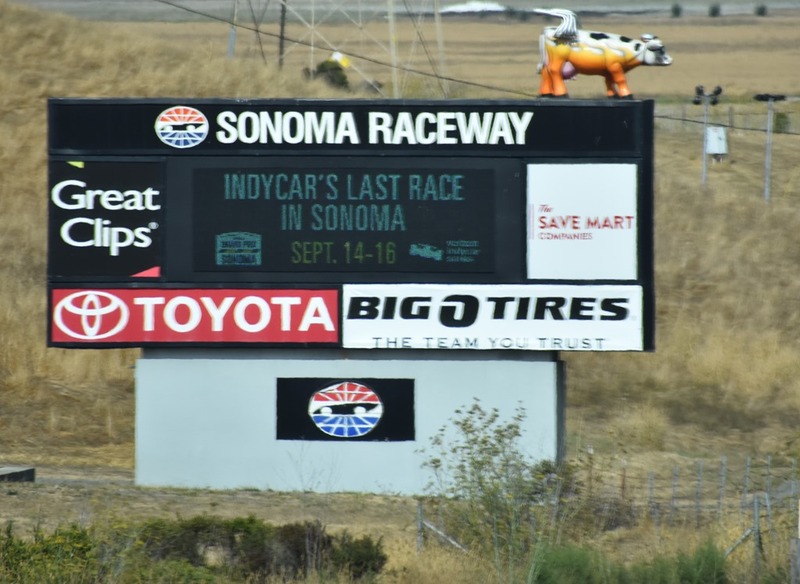 This entry was posted on September 14, 2018 at 7:29 pm and is filed under IndyCar. You can follow any responses to this entry through the RSS 2.0 feed. You can leave a response, or trackback from your own site. We went last year. I agree with your comments on the track. Enjoy the area around though. That’s the beautiful part!